Since the switch from film to digital, physical photographs have become something of a novelty. But as TechCrunch reports, one company is looking to revive the printed picture by giving it a high-tech spin. While 360-degree prints sound a little unusual, 360-degree cameras and pictures are more common than ever. Google uses domed cameras to capture images for Street View, and GoPro's six-lensed Omni rig just hit the market for $5000. In most cases, 360-degree imagery is meant to be viewed as an immersive virtual reality experience. 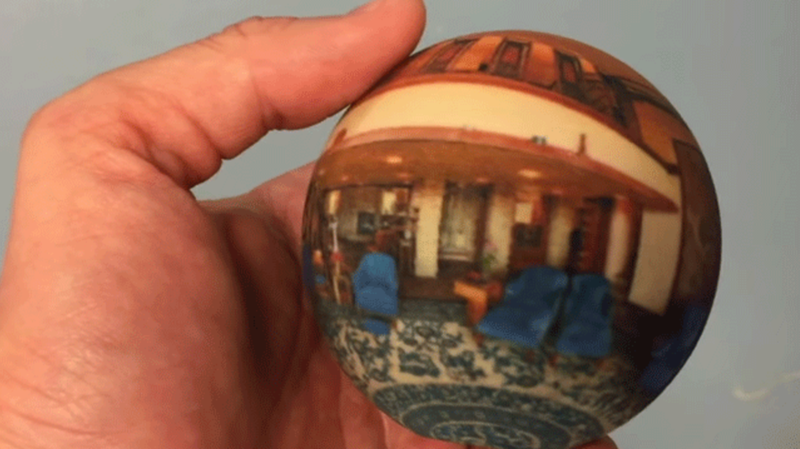 Scandy is taking the opposite approach by turning 3D photographs into portable, pocket-sized globes that fit into the viewer's world. Spheres aren't the only shapes Scandy specializes in printing. Users can also use the app to make miniature prints of single objects rather than whole photographs. iOS users can download the app from the Apple store and Android users can expect to see it by the end of the month.